The European Union has convened a wide-ranging industrial group to work on promoting the euro and fighting the monopoly of the U.S. dollar in oil and commodities trading, reflecting broader tensions with Washington over trade and sanctions. The group, which involves executives from European oil firms such as OMV and Eni and gas and power firms such as Fluxys and Engie , will meet behind closed doors in Brussels under the auspices of the European Commission on Thursday. 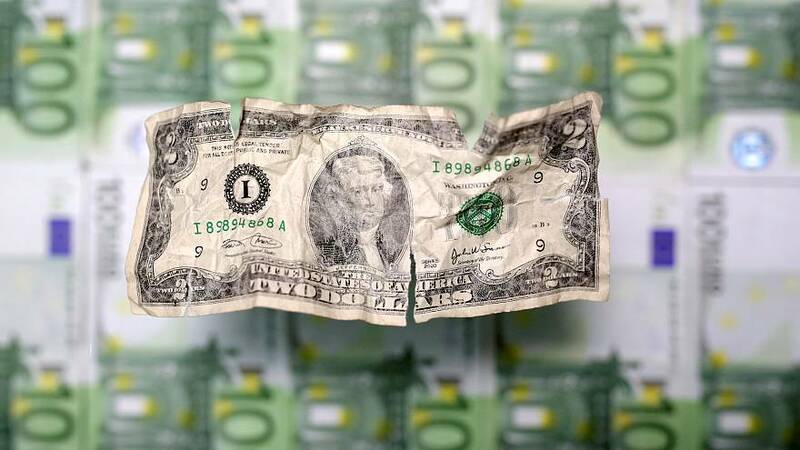 Participants are invited to dig into "constraints on (market-initiated) alternatives to the use of U.S. dollar through wider use of the euro, in spite of the benefits of such a change", the Commission said in materials prepared for the meeting. "The EU is the world's largest energy importer with an annual energy import bill averaging 300 billion euros in the last five years. Roughly 85 percent of this amount is paid in U.S. dollars," according to the materials for the meeting. "Washington doesn't like cartels like OPEC," said one participant involved in preparing for the meeting, referring to the Middle East-dominated Organization of the Petroleum Exporting Countries. "But then how can you have one market dominated by one currency - the dollar." "More than promotion, you need reforms, stability and convincing investors," a senior central banker said, airing widespread doubts at the European Central Bank about the Commission plan. The move follows a U.S. decision to withdraw from an agreement with Iran on Tehran's nuclear programme, with many EU companies such as France's Total saying they were forced to stop buying Iranian oil even for euros because of fears of secondary U.S. sanctions. In 2014, Washington fined BNP Paribas $9 billion (£6.98 billion) for trading Iranian and Sudanese oil, with the French bank agreeing a settlement under the threat of losing access to dollar clearing. In the 20 years since its adoption, the euro's international role peaked at the beginning of the last decade. Its use dropped during the 2007-08 financial crisis. Currency competition: how does the euro compare to the dollar?